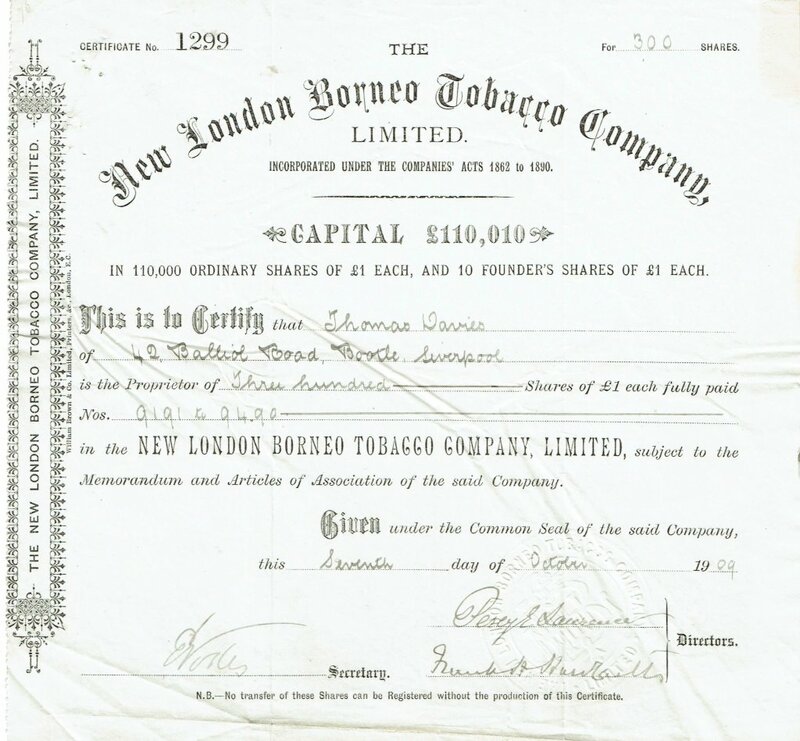 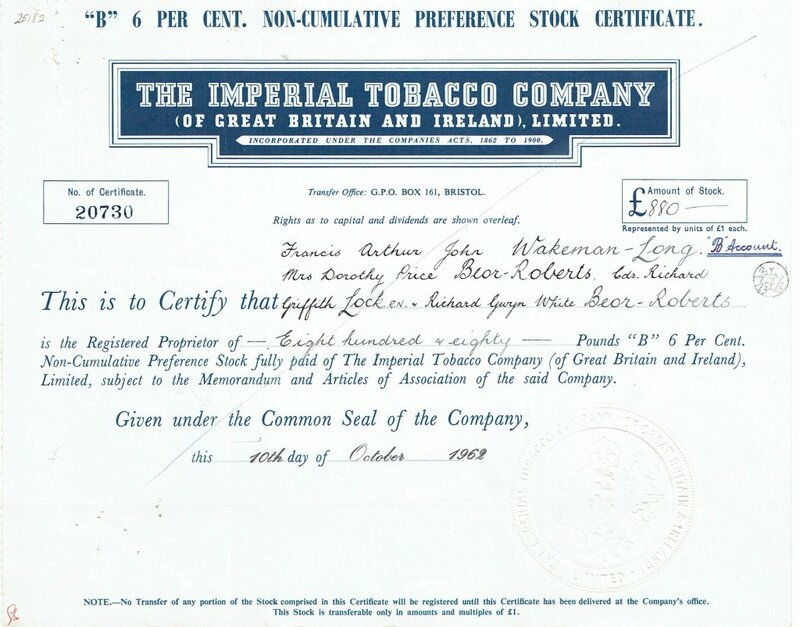 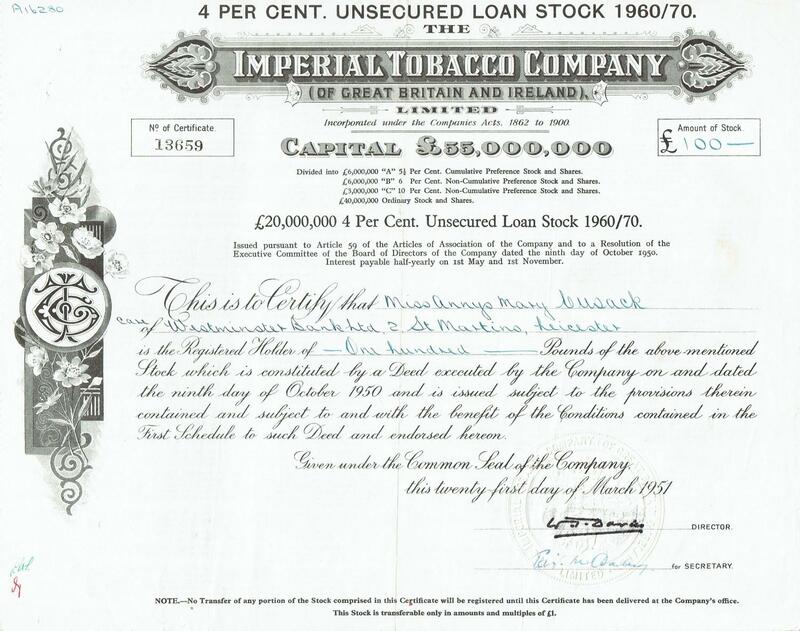 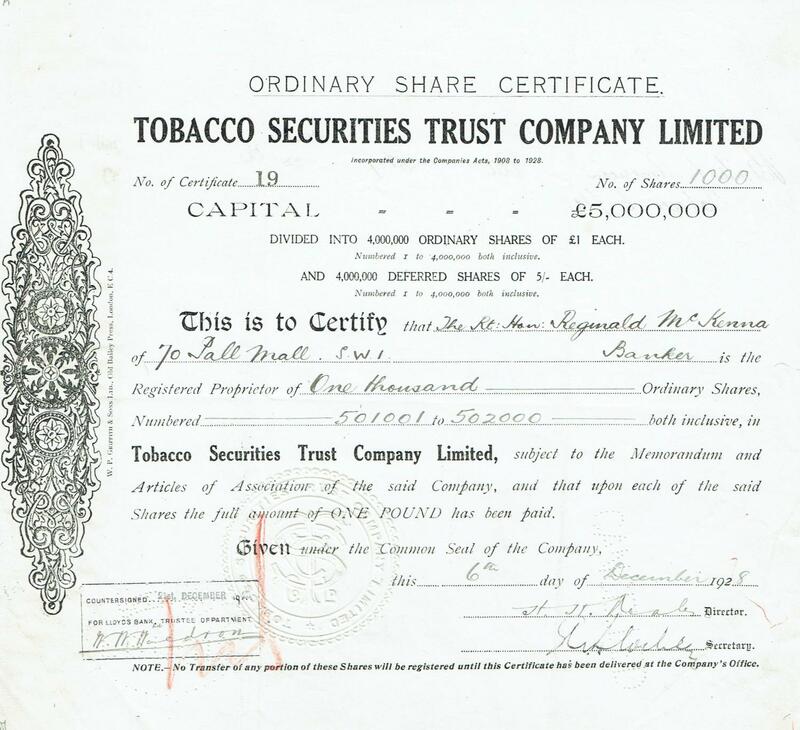 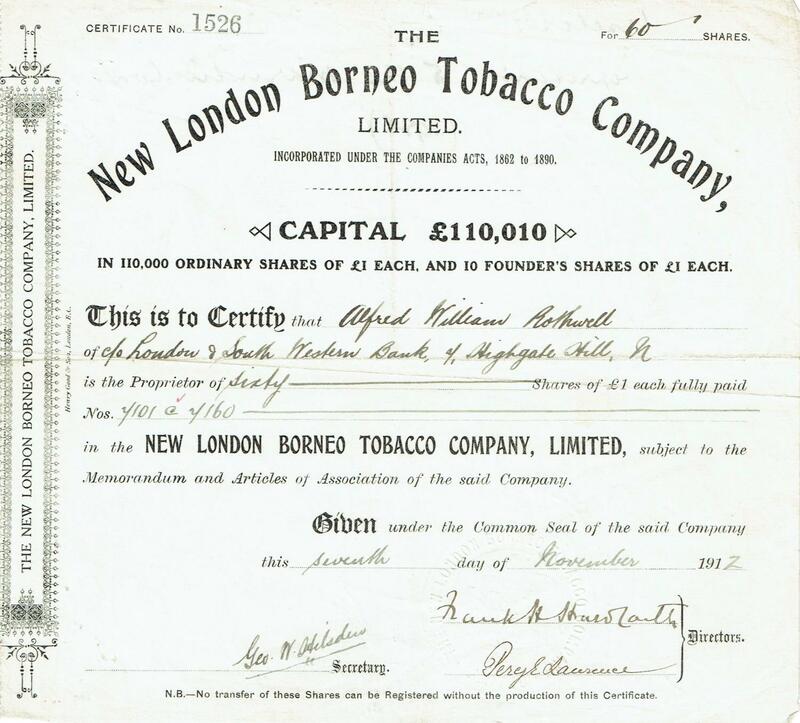 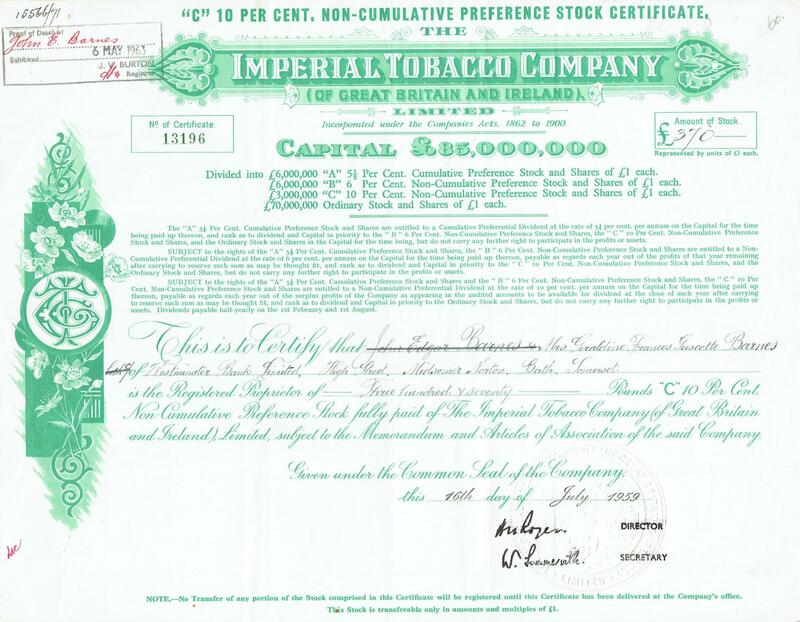 Info: The New London Borneo Tobacco Company, Limited, was registered in 1888 to acquire a grant of about 26,000 acres of land in British North Borneo and to carry on the cultivation of tobacco. 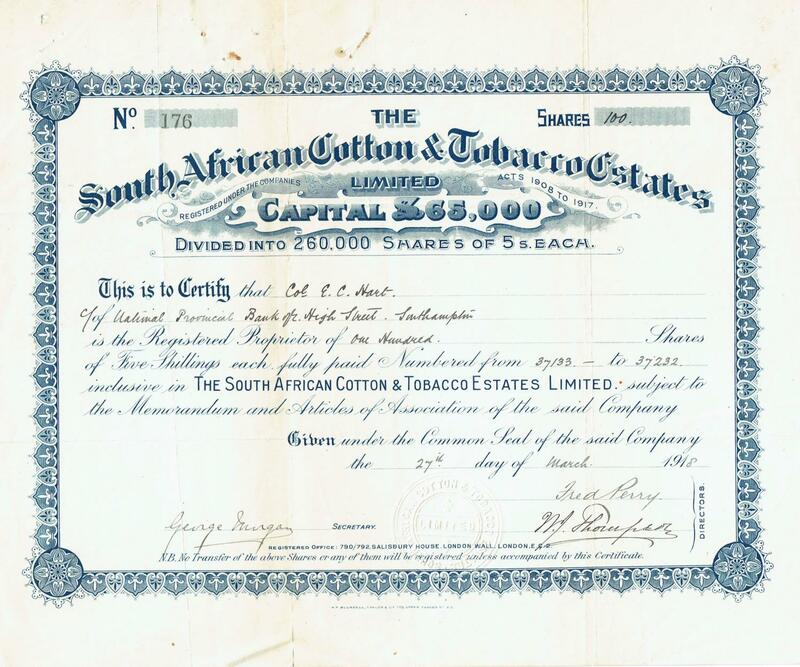 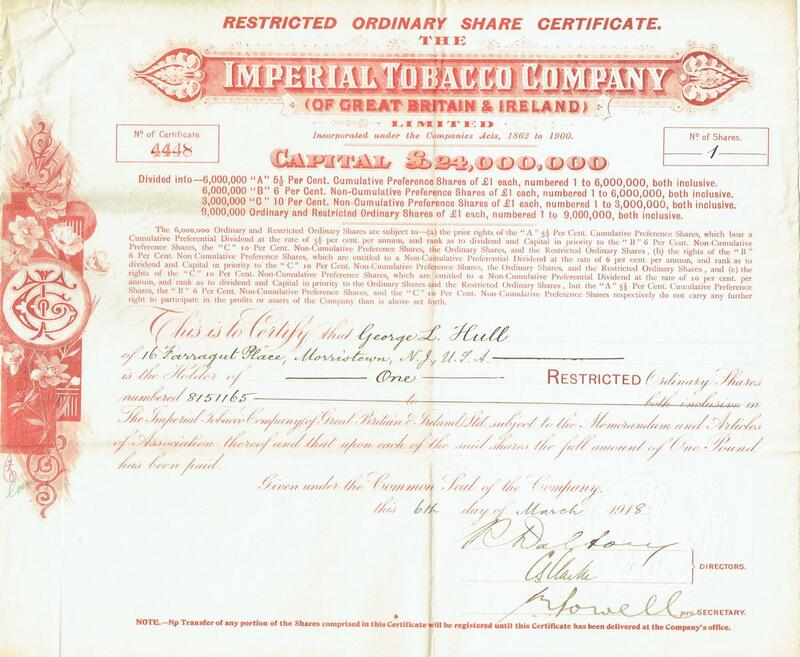 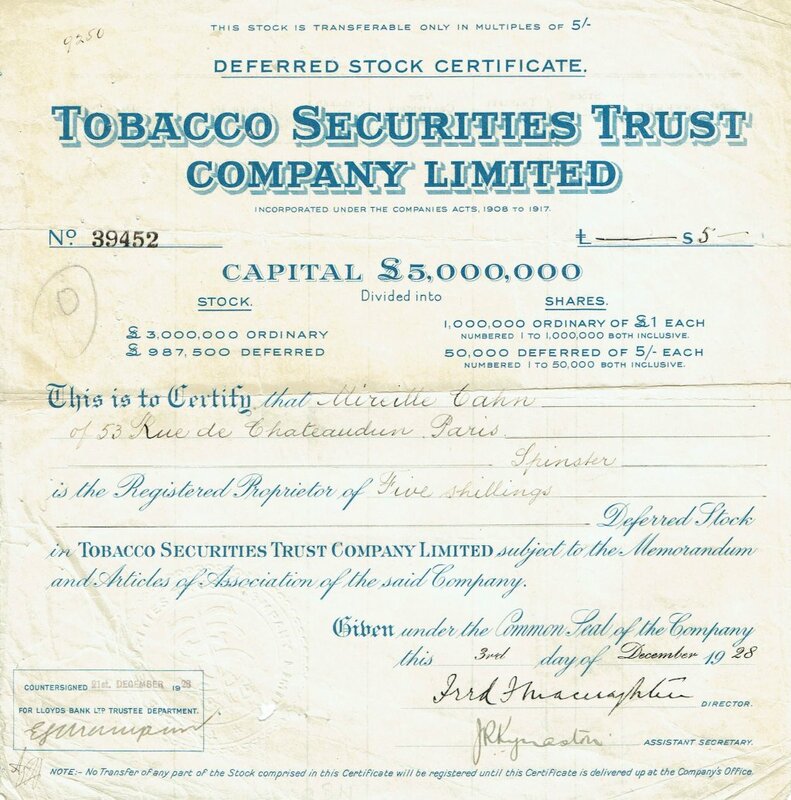 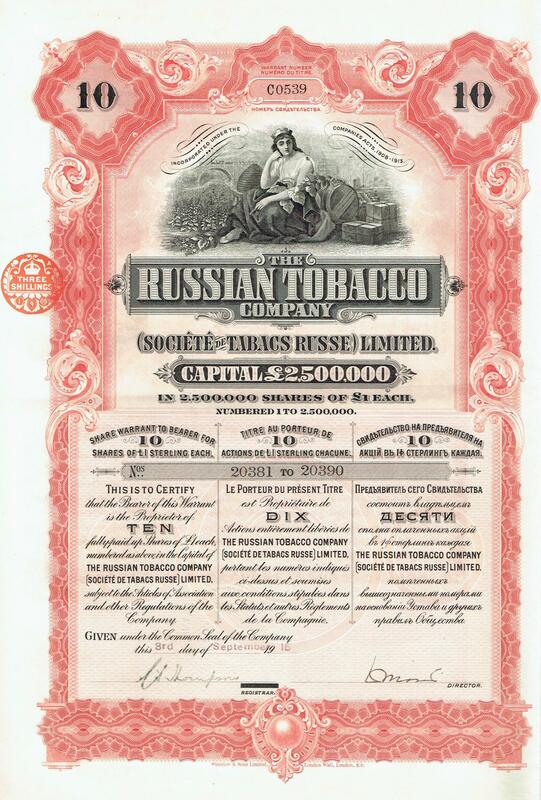 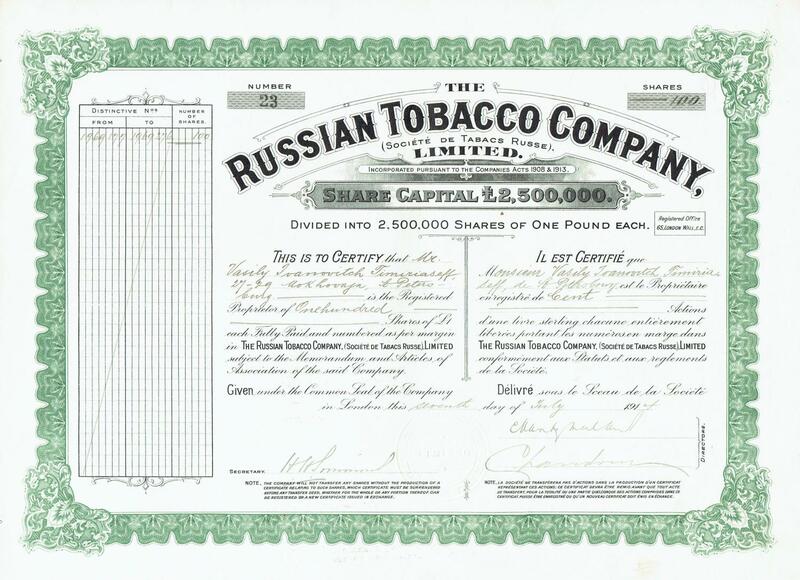 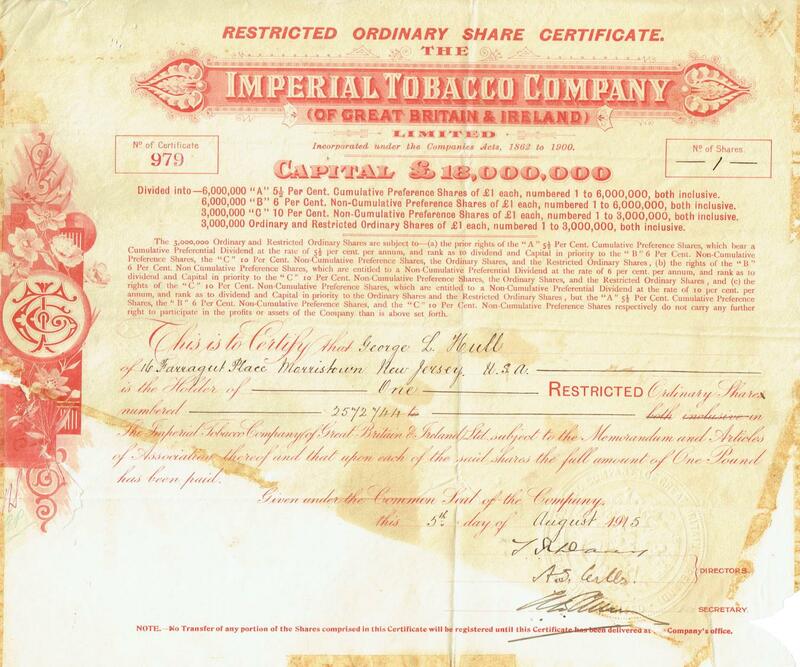 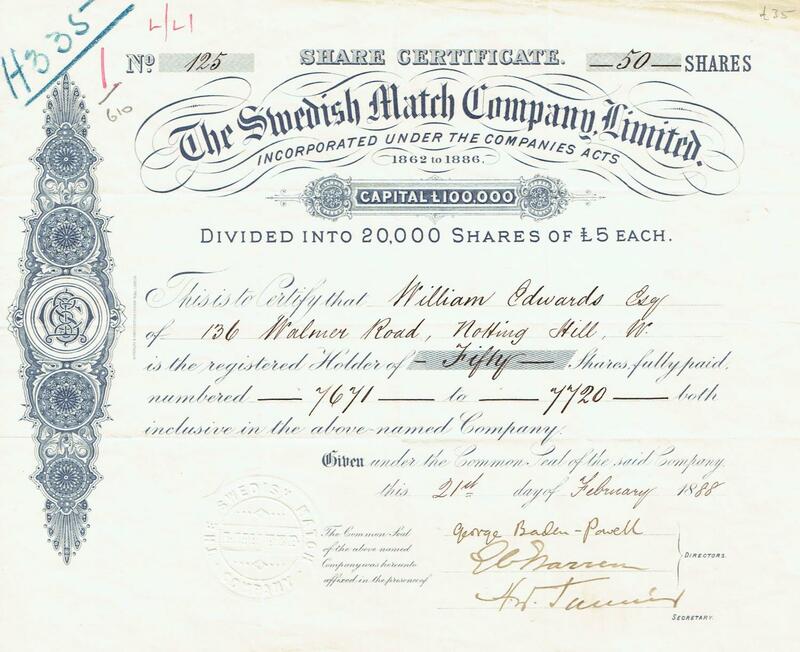 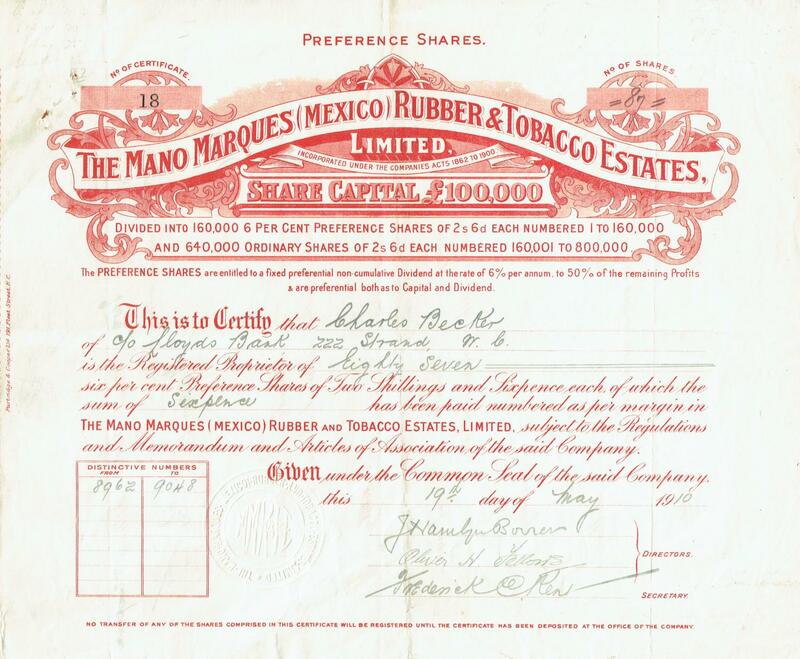 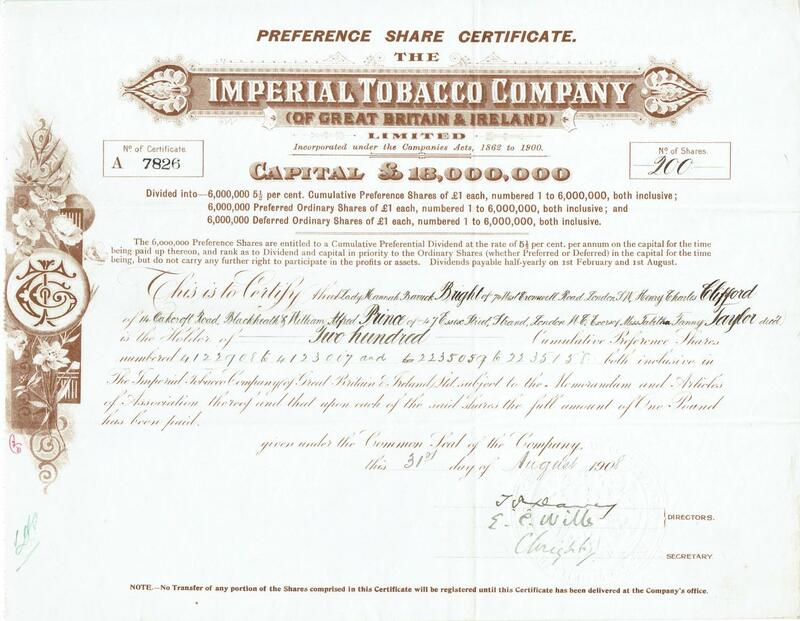 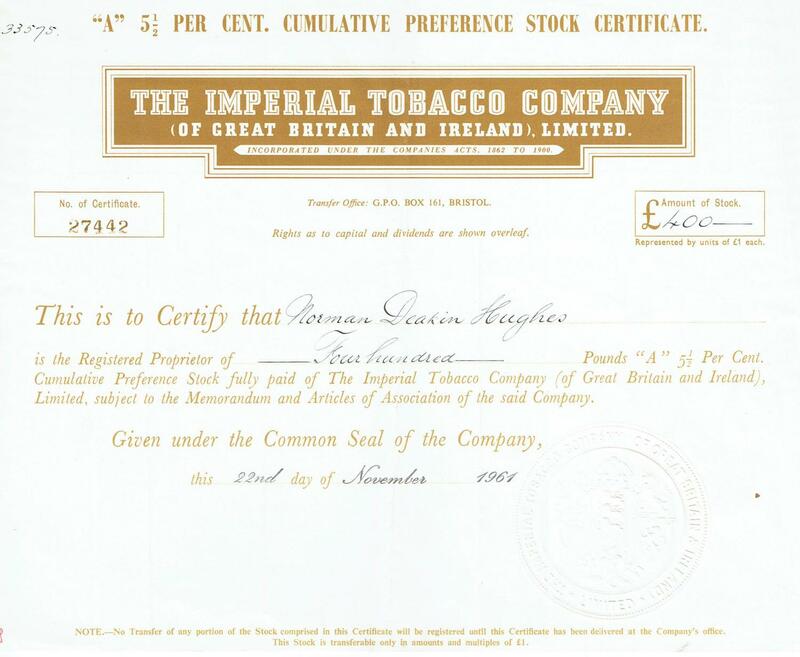 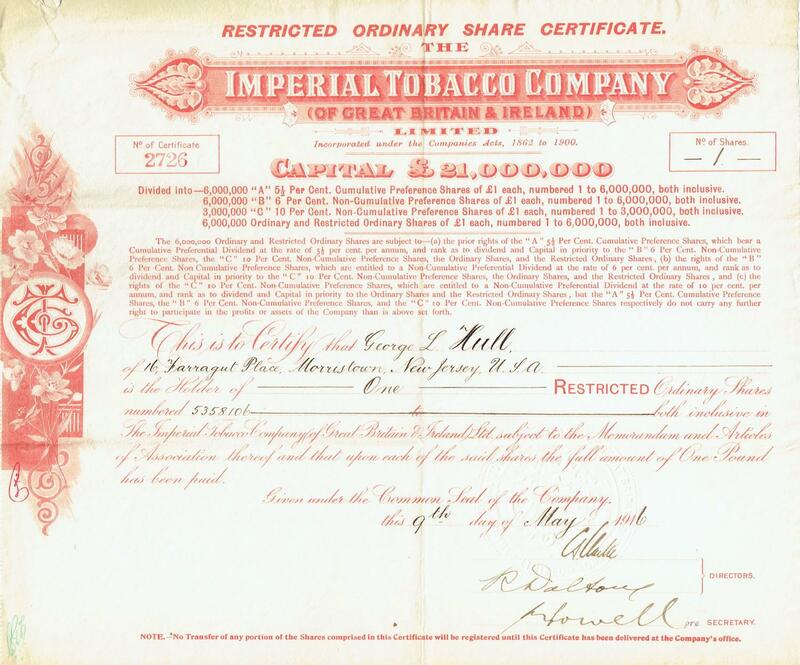 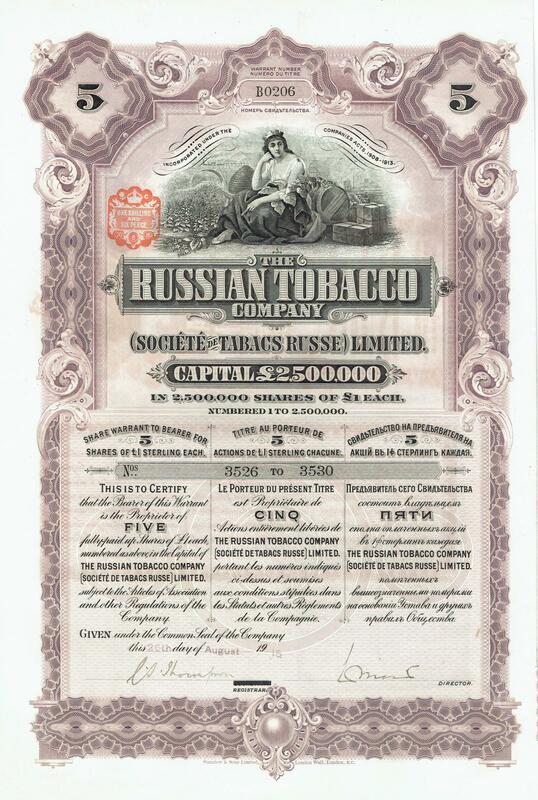 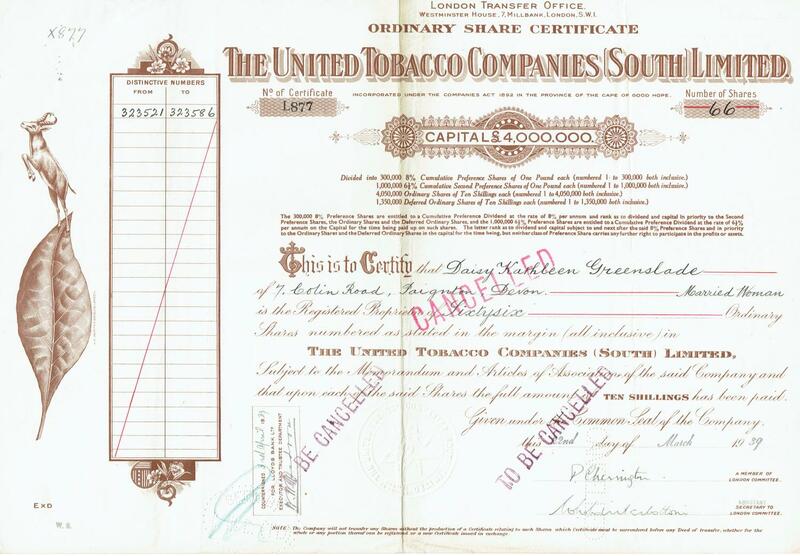 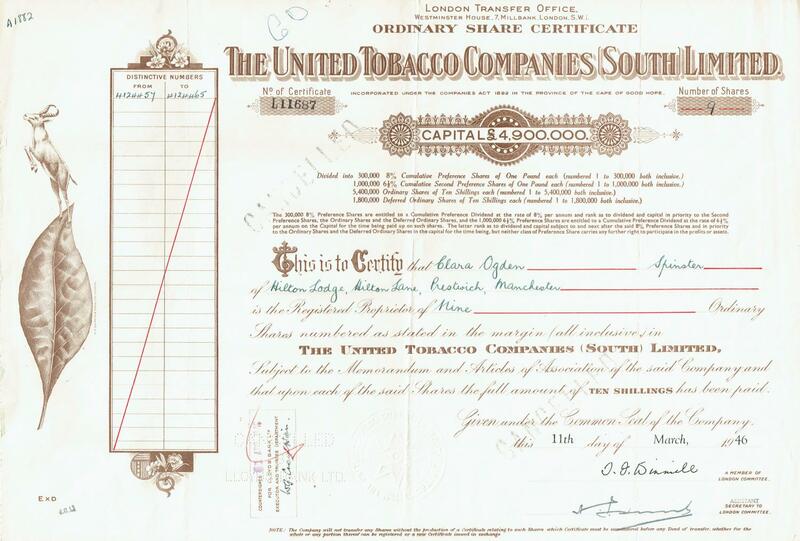 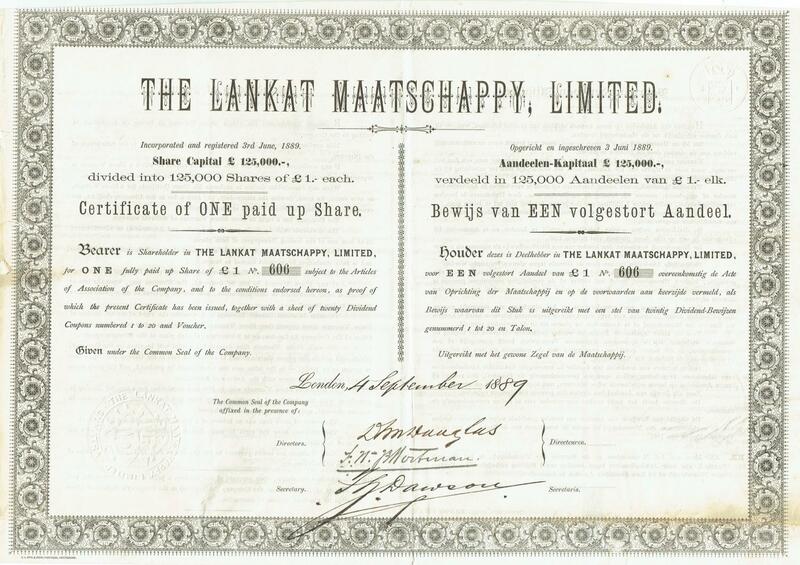 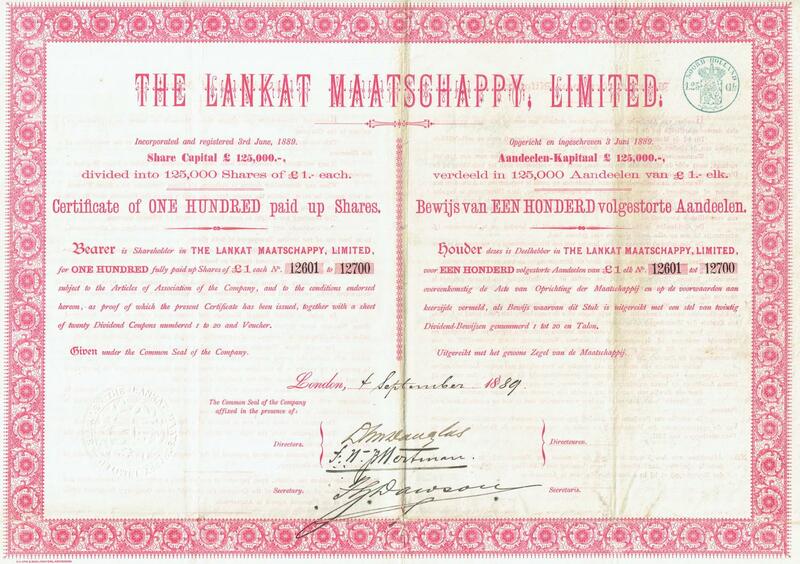 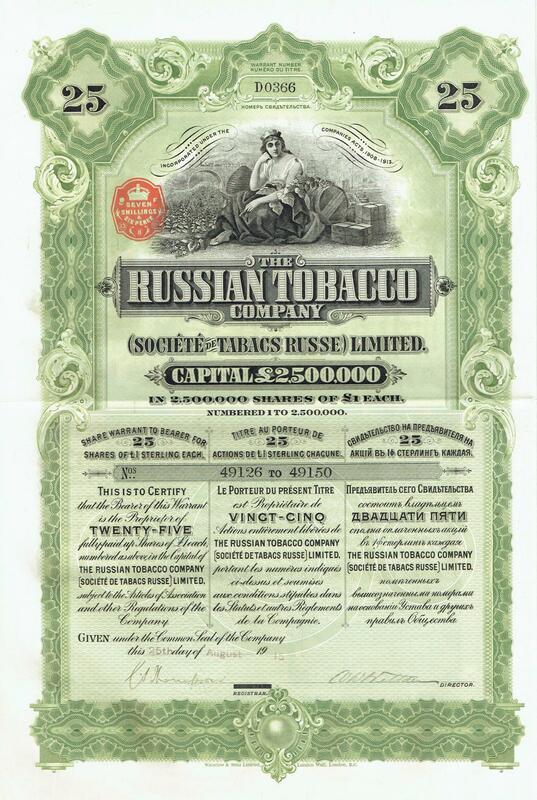 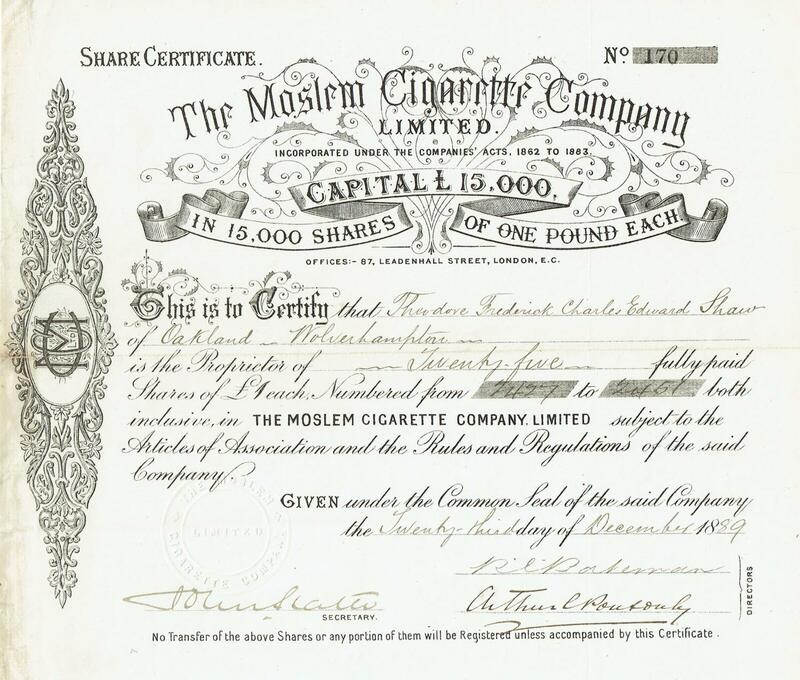 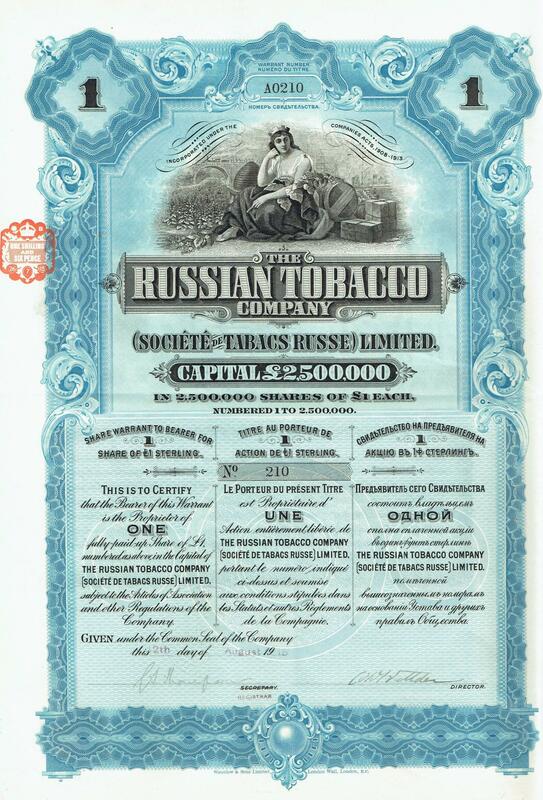 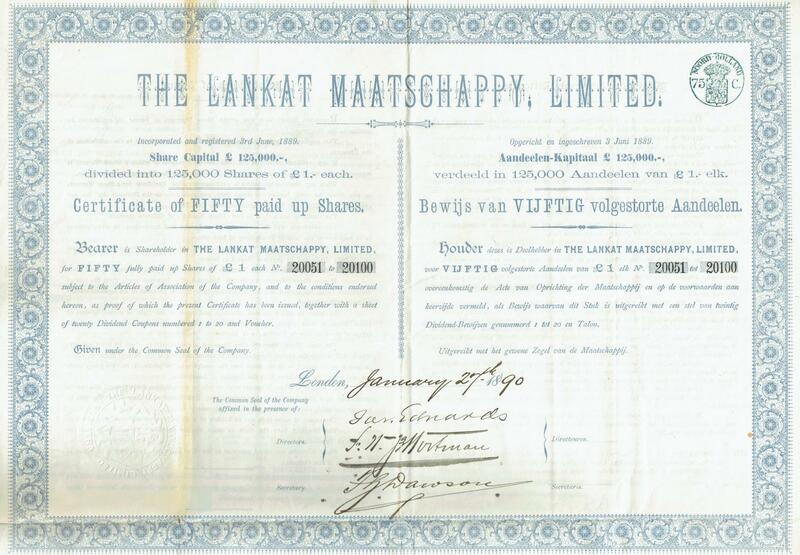 As an export duty on local grown tobacco commenced in 1892, it was decided to liquidate and reconstruct the company. 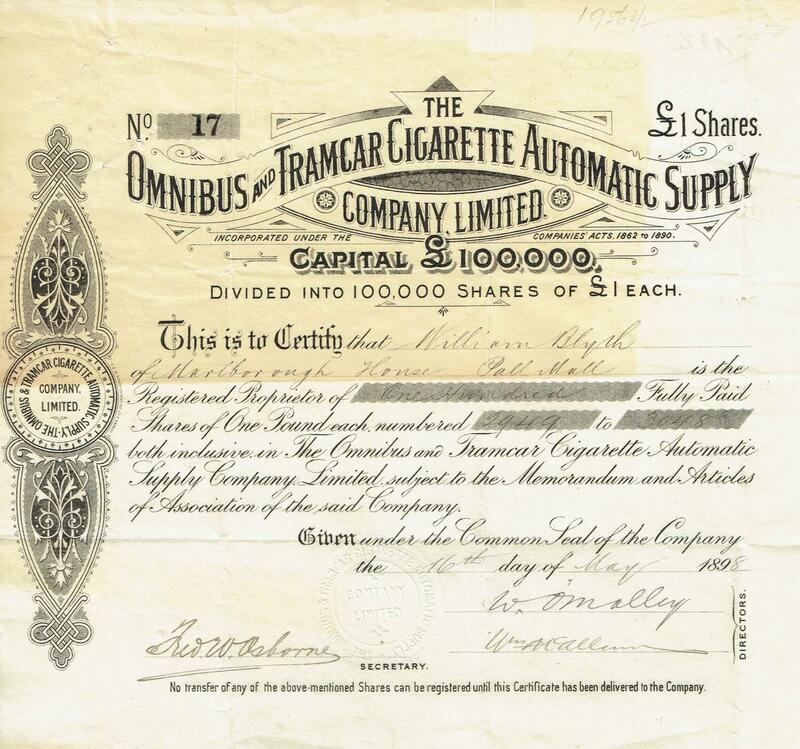 Info: Founded 1898 to sell cigarettes on public transport through automates. 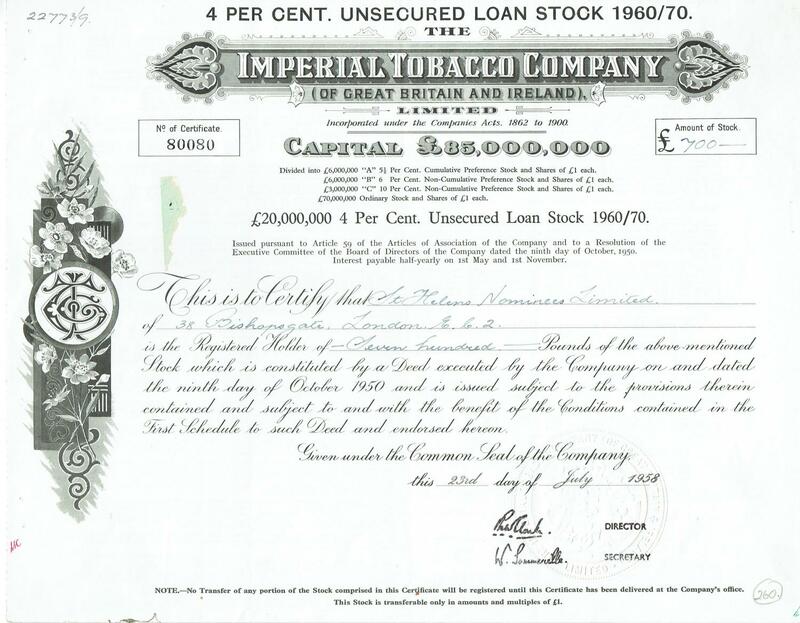 Liquidated 1910.